Two women ride a wave of passion that threatens to consume them in a world of fast money and fast times in the neon glare of Sin City. It’s lust at first sight for blackjack dealer Rae Sutherland and conventioneer Cori Romero. Rae wants more from life than the constant shuffling of cards in a smoke-filled casino, but for now, she revels in the excesses of life and appreciates the never-ending parade of women at the tables. Cori is looking for something besides her day-to-day grind and she’s aching for a new adventure but doesn’t expect to find it on the Vegas strip. Fueled by the encouragement of friends and Captain Morgan, she auditions for a singing gig and her path inevitably crosses Rae’s. In spite of themselves, their relationship develops into something deeper than the initial intoxication of attraction, but both wonder if it’s worth the gamble. Want to see more? Check out the first chapter HERE. 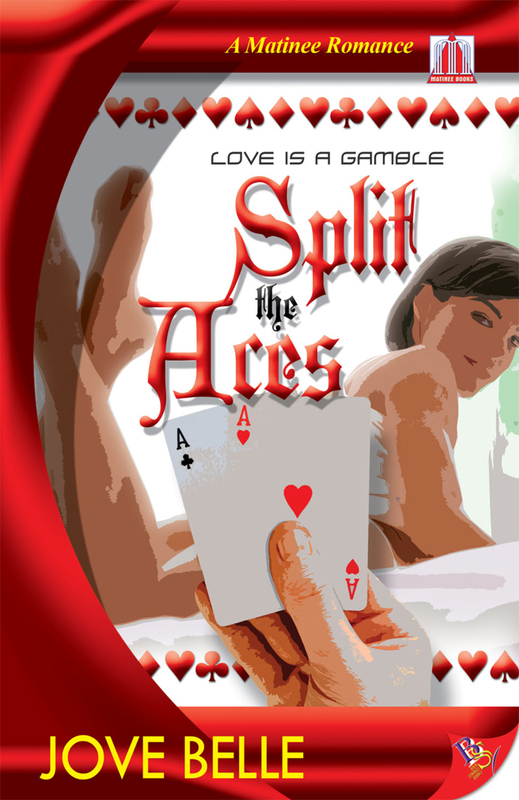 Split the Aces is available to buy at Bold Strokes Books, Barnes & Noble, Borders, Book Depository, and Amazon.